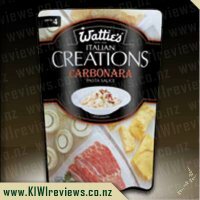 Honestly Watties this is the best range of simple meals to be brought out! Another stunner packet mix that blew my socks off. We had friends over for tea and decided to cook something fast, simple and that used the least amount of dishes as possible so we went with the Korma. First off, the easy to tear tab is amazing. It pulled straight off and ripped perfectly across the top which is a huge bonus in my books. Secondly the amazing smell that wafted from the packet as soon as it ripped open was divine. This told me straight away that this Korma was going to be good. I followed the instructions on the packet and we tossed up between chicken and lamb. Chicken won this time around so we threw it all in. On went the rice and it started to cook. The house was soon filled with an amazing aroma that our friends were blown away by. 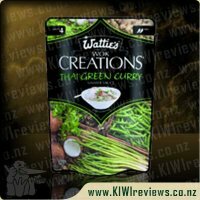 I was lucky enough to try this Watties - Indian Creation Korma. 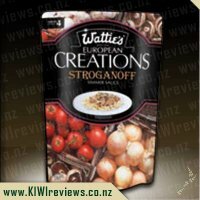 Once again Watties have come to the party and designed an easy to make meal for a busy family household. The packaging is great for me as it can store easily in my drawers (only have limited tin space so packets are better space saver) and also like that you can squeeze the contents out. When I first opened the packet I could smell the real Indian aroma but was unsure at the very bland colour. I was preparing myself for yet another Indian sauce that did not taste like Indian but was pleasantly surprised. 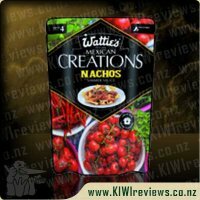 I think that by Watties making it a little more spicy (but not too spicy for the kids) it adds that flavours needed to disguise that it is a packet meal. Although it was enjoyed by all the family (everyone wanted seconds) I would of liked it to look a bit more appetising so that I could use this dish when we had visitors. Would be great to have some more suggestions on the packet as to how to colour it up for when people like me have a mind blank. 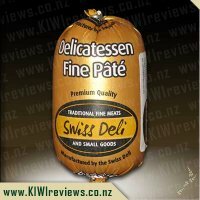 I am now keen to buy thins again and think next time I will try it with lamb (not chicken) and possibly add some green and red capsicum to it to brighten it up. 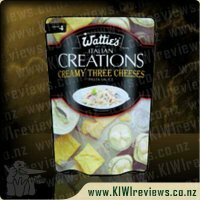 I am so glad that I put my hand up to review this Wattie&apos;s Korma sauce - it is delicious! Now, I think I may have tried Korma from our Indian restaurant once or twice but it was some years ago - so I had no idea if I particularly liked the flavour of &apos;Korma&apos; or what exactly it would taste like. My husband had no previous experience of tasting Korma before this meal either - he only knew of it from reading it on the menu&apos;s at restaurants before. 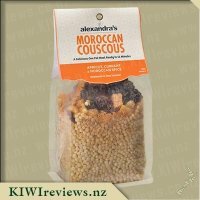 Forgetting to get meat out in the morning proved to be worth it this time round as my parcel from KIWIreviews had arrived - hubby sent me a message with the ingredients I needed to get on the way home and luckily the supermarket had some decent lamb in stock. Stopping at the supermarket after work meant I was a bit later home than normal so I was extra thankful of a quick meal. When I got home and read the packet myself I did think that I must remember to keep one of these in the pantry - lamb or chicken and onions, rice and yoghurt are always in our household so its definitely one of those sauces that are good to have on hand! After cooking the onions and browning the lamb I opened the packet of sauce - which was an extremely easy task. A point which I feel just has to be mentioned as so often I find myself shuffling through the draws to find a pair of scissors to properly open a packet which is meant to just tear open but never does. 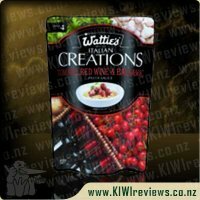 Wattie&apos;s you definitely hit the head of the nail here - please don&apos;t go changing your packaging - it rocks! When smelling the sauce I felt a little nervous as I just had no idea what to expect taste wise, however after a quick finger dip I knew everything was going to be just fine. I cooked some extra vegetables as a side - broccoli, red capsicum and mushrooms. Normally if I was cooking without following instructions I would add these in with the meat and sauce but I have to say it made a nice change having them off to the side by themselves. As a bonus it also meant I put less rice on my plate as I needed the room for vegetables - got to be good for me I say! While I was cooking the vegetables and stirring the meat mixture which was simmering away, I kept noticing a smell of fresh spices; it took me a little while to stop and realise, hold on I didn&apos;t use fresh spices tonight, wow that smell is coming from a packet?!! Impressive to say the least. After a weekend away it was great to eat a proper home cooked meal. 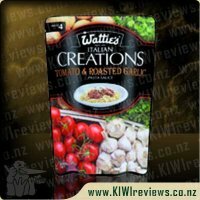 Well, as close to home cooked as you can get when its sauce in a packet. Being tired this was fantastic. So simple to prepare, within about twenty minutes we were sitting down to a yummy dinner. Cooked lamb and onions and then added the sauce what could be simpler. I also added plain yoghurt because the girls are not overly keen on spicy food. While searing the meat I put some rice in the rice cooker. Originally had wanted to have with Naan Bread but after visiting two supermarkets could not find any and had to go with Pappadums (which really are not a huge fan of). Everyone really enjoyed the meal. It was tasty and both girls asked for more, although my baby was more interested in the Pappadum then the Korma. 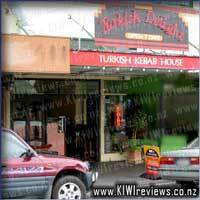 My husband found it flavoursome and we both agreed we would like to have again but definitely with Naan bread. I think next time I would like to try seafood, but I did enjoy the lamb. Definitely a meal I will have in the pantry from now. Nothing beats a fast meal on a cold night and with winter coming....... Says can also be done in the slow cooker so if I am on to it one morning definitely worth a try. 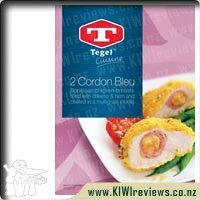 I used chicken with this dish, and as I did not have any yoghurt on hand, I used cocount cream as an alternative. As opposed to serving with brown rice, as I have done with the other Creations that I have tried, I decided to use garlic naan bread instead. Easily ripping open the packet and adding to my meat, the meal was practically done already. After adding the coconut cream, I deliberately didn&apos;t leave it to simmer for too long. Instead of going for a thick traditional curry sauce, I took it off of the heat once it reached more of a soup consistency. Allowing the meal to cool, I used hot garlic naan to soak up the sweet korma sauce, and it was delicious! The korma and garlic complemented each other incredibly well. There was very little tangible chilli heat to this meal, but it was full of flavour. I have been very impressed with this Creations range, and will definitely be on the look-out for some &apos;hot&apos; sauces to cater to my palate. I was a little concerned that the chicken that I had used may not have been cooked all the way through, but my fears were unfounded, and the chicken was fully cooked, tender, and juicy. This is one of the range that didn&apos;t end up in my review pile this round. So I did the only thing a consumer like me can - I went out and bought it. After all, I can&apos;t seem to pass a new product without buying it and trying it out at least once. I had a selection of friends over for dinner a week or so back and so this is what I served them. I did hot Basmati rice, Farrah&apos;s Wrap chips home-made like a poppadom. Then I served with that, a chicken Korma. I did long stripes of chicken into the frying pan. Then I added some capsicum, the Korma sauce and finally a little sour cream to round it out. My friends all enjoyed the sauce and the meal as a whole. They did say that it was not as hot as they expected, but that it had a good "everyman" heat to it. 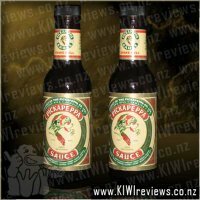 So they could imagine most people being able to buy this and enjoy it for a taste of Indian, without it being too spicy. My husband really enjoyed it and the kids even gave it a go as well. 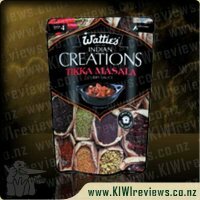 I enjoyed every Indian creation sauce in the range, and I know we will buy this one again, as well as the Tikka Masala and the Butter Chicken. These sauces are so easy. 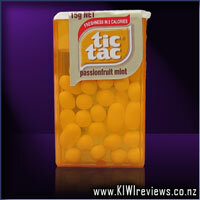 They are cheap and the packaging is so easy for storage in the cupboard. Before I opened the packet, my impression of what korma tasted like was quite different to the reality of what I found when I opened the packet. Korma is something I believe I have had a couple of times in a food hall but I seem to remember a much creamier, less curry flavoured meal. That probably sounds a bit funny, but that is what I thought I was going to be preparing for dinner. I am not saying that what I was greeted with when I opened the packet was a bad thing, it was just different to my expectations. My husband had taken chicken of the freezer for dinner, so chicken it was for this trial. I followed the simple instructions for cooking on the stove top. I like the way that the back of the packet has a clear list of what is required and the ingredient list is basic. In fact, we usually have chicken and onions in the house, so the only other thing I needed was the sauce packet and some rice. I chose not to add the cream as last time we only had to use a couple of tablespoons for cream in a recipe, I left the rest in the fridge and forgot about it. I added lots of broccoli, carrot and zucchini in addition to veges that are already in the sauce. I like to bulk out my family meals with as many veges as possible. 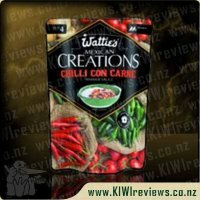 This sauce seems to have a lower percentage of vegetables that it other Watties Creations sauces that I have tried (this one has 38%). It is interesting that the first ingredient (and therefore the greater quantity) is water. The ingredients list makes very interesting reading on the back of pre made food. 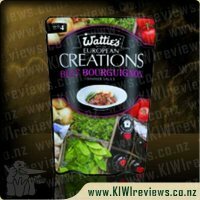 I think that in general the ingredients lists on the Watties sauces are pretty good. While I was cooking the dinner, I thought that it was unlikely that my children would eat it as it was and I was kind of wishing I had that cream to add to the pan to make it weaker for the kids. I decided that coconut cream would be a good addition and poured a bit it, it started to give me that creamier, less curry like flavour that I had initially expected. I love coconut cream and the can was a smallish one, so I emptied the contents in! The taste was lovely. I tried to introduce the idea of eating the curry to my four year old as "coconut chicken korma" with the hope that he would like the coconut part. He screwed his nose up. Not a good plan considering it was an all-in-one type dinner. When we were eating the meal, I managed to get our 4 year old to eat some of it when I told him that he had to help me review it. I wouldn&apos;t say he really enjoyed it but he did it for the sake of the review! I served the meal with rice. A point of different here was that I used Sunrise rice and quinoa. I know it doesn&apos;t fit into the Indian theme but we are trying to add as much goodness into our family meals as possible and figured this was a better option for us than white rice. It really did add a nice dimension to the meal. 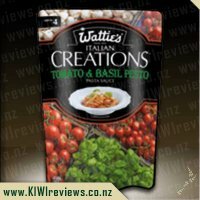 This particular version of the Watties Creations is unlikely to appear in our pantry too often, however, we have really enjoyed trying out the other flavours. In general I like the way the packets are presented, the fact there are no colours added and the ingredient list contains relatively good ingredients. 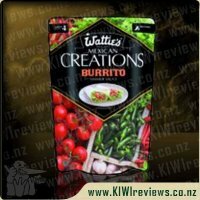 Being big fans of Indian food in our household we were very pleased when Wattie&apos;s realised their new creations range and I&apos;m pleased to say we weren&apos;t disappointed! The Korma is a nice mild curry flavour that appealed to everyone in the house from the 3 year old to myself, and I generally prefer a hotter curry. 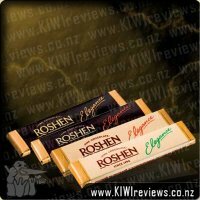 It has a nice creamy, mildly spiced curry flavour which you can either add a touch of cream too or leave out. We added cream the first time but decided to leave it out the second time and it was just as delicious, just a slightly spicy taste. I have cooked this both in the slow cooker with lamb and on the stove-top with chicken. Both resulted in a lovely meal but I think I would do it in the slow-cooker again next time, I loved the way the lamb cooked up till it was nice and tender and the sauce didn&apos;t reduce too much. Just remember to brown the lamb in a hot pan first! I also added some veges during the last hour of cooking, using the Wattie&apos;s creations stir fry mix, and served it over rice. A nice sprinkle of chopped cashews on the top and we had a complete meal! I have a bad habit of packing my days pretty tight - lots to do, and only so many hours in the day to do it all in. Clearly, I need a clone army. But, failing that glorious biotech future, I find I have to get creative about feeding the family. A variety of quick, easy meals comprise the majority of my stock menu, and anything in the slow-cooker is high on that list, however I have rotten luck making anything between a watery soup and something you would consider as suitable paving material for the driveway... always too wet, or too thick. So, I was hoping against hope that using one of these packets would be my holy grail. Overall, despite the disappointment in my own mistake, this was something I enjoyed and plan to experiment with again in the future. 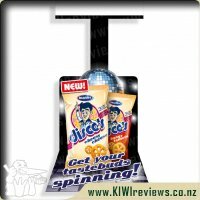 It&apos;s on the "when we have a bit of extra spare cash" shopping list so it will make a reappearance in the pantry at some stage. I would say that this is something you need to think about carefully, and would probably look at it for stove-top rather than slow-cooker in future. Still... served on rice, it wouldn&apos;t be too bad and an afterthought was I could have added a can of tomato puree instead of diced toms, which would have given me the liquid I needed, without quite so much water. I don&apos;t normally eat a lot of Indian food although I do love it, however I&apos;ll confess I normally go straight for the butter chicken as my Indian food of choice. So when I was offered the Korma to sample and review, I was tempted to make it with chicken (a suggested alternative), but decided to use their first suggested option of lamb. And I&apos;m so glad I did - it was delicious! It was pretty easy to make up - I just fried up the lamb and onion over a high heat, then added the sauce and simmered at a reduced heat for a bit. It did suggest 30-35 minutes but I&apos;d cut the lamb a bit smaller than necessary so it took only about 20 minutes - so a great easy meal. And everything was tender with flavours right through. It suggests it&apos;s mild as far as spice goes, but I thought there was a decent (but nice) little kick to it - similar to their other meals which are labelled mild-medium. It does suggest an option of adding some cream or yoghurt at the end but I didn&apos;t bother as didn&apos;t have any. There is also a slow cooker option or an oven option for those who prefer. 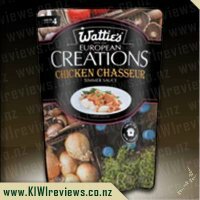 I served it to my 5 year old (well diluted with rice) and my husband and they both loved it, and what it supposed to be a 4 person meal was all gone by the end of dinner! The taste was definitely a Korma from what I know of Indian food - I am definitely buying this again, and I highly recommend! I am not a huge curry person I do like one from time to time but I am not big on spicy food so usually go for a mild green curry or an even milder butter chicken. 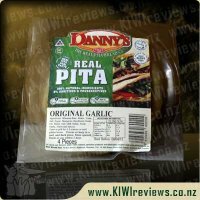 I was very pleased when I read on the packet this one was mild as I knew that it would not be too spicy for me and my family. 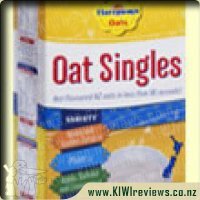 A lot of the times when packets say they are mild in my experience they have turned out to not be what I would define as mild but by the time you added the yoghurt to this it definitely was mild enough for me so I was happy with that. I had never tried a Korma before so wasn&apos;t sure what to expect but I really liked the taste with the addition of the yoghurt the sauce was very creamy and full of flavour. Just mildly spiced but still had all the aroma of a much spicier dish. While it was cooking my whole house smelt like an Indian takeaway definitely a very authentic aroma and taste to this dish. We did it with chicken but you could easily do it with other meats or even vegetables to suit your tastes. I may not eat this often as I said I am not a huge curry eater but would definitely buy it again as it was very tasty and so easy to prepare. I am all for convenience so having a sauce all ready to go suits me just fine. The one thing that frustrates me about ready made sauces is a lot of the time they have msg in them which we stay away from and I really do not know why it is needed so I was very pleased to see this sauce didn&apos;t have it and just goes to show you can still have really strong flavour without artificial flavour enhancers. 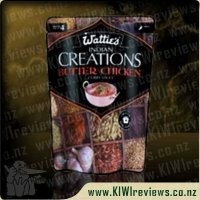 Yet again Wattie&apos;s have hit the nail on the head with their creation range. The Korma is yet another one which is quick, easy and extremely tasty! The korma suggested lamb, chicken or vegetables so I decided to make a vegetarian dish for a change. The hardest part of it all was cutting all the vegetables. I added onion, potato, pumpkin, carrot, courgette, cauliflower, corn and peas. Once the veges were cut it was easy to whip together it was a matter of browning the onion, throwing in the veges cooking for a few minutes, adding the sauce then walking away and leaving it to simmer for half an hour. The results was an aroma filled house as it simmered away making me more and more hungry! 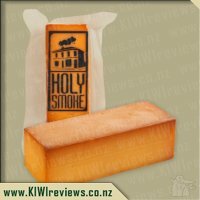 The smell was delightful and I am pleased to say I wasn&apos;t disappointed with the taste either. It was a lovely mix of spices. The korma is one of the milder creations sauces so I suggest tasting it before adding the optional cream or yoghurt. The chefs tip is adding a little coconut milk instead which is what I did. If you prefer a lot of spice though you probably don&apos;t want to add anything to the sauce. I really love how this was such an easy and quick meal to make. 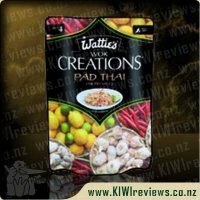 I gave my husband the Indian Creations Korma packet so he could cook while I feed the baby, I thought it would be a great trade off because usually it takes way longer to cook than feed a baby but I had no idea how wrong I was. I watched him add the lamb (I made it even easier by buying diced lamb so he didn&apos;t even have to cut it up), fry it, then add the sauce mix and a bit of yogurt and then he just left it and went and sat on the couch to watch the telly. It was that simple! Meanwhile I was struggling with a messy baby who now needed a bath. The only issue with the whole meal was that my husband made a newbie mistake and had forgotten to put the rice on to cook but really that just meant the that curry could simmer a bit longer while the rice cooked and gave me a chance to get the kids bathed and put to bed so we could enjoy our meal in peace. This was a delicious curry and very similar to what you would buy in an Indian Takeaway restaurant but much better because you can control the spiciness of the meal by just adding less or more yogurt depending on how you like it. 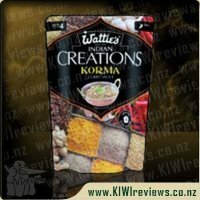 I would definitely recommend getting this Indian Creation mix if you are after something quick and easy that tastes very similar to a bought Korma. 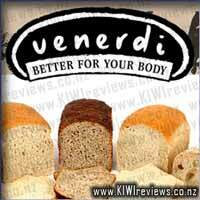 At Venerdi, we believe that good health and a good life have their roots in good nutrition. We encourage you to enjoy our range of spelt and gluten free breads, biscuits and new products as part of a healthy balanced diet. By eating well, you give your body - and your mind - what it needs for a great life.